Eugene Kogevin was born on December 29, 1889 in the city of Uinsk, the Perm gubernia, into the family of forester Vladimir Kogevin and the daughter of manager of the Stroganovs' Perm estates Vera Rogova. He spent his childhood along with his younger brothers and a sister (my grandmother Zinaida) in the Biklyansk forestry, the Ufimskaya gubernia. 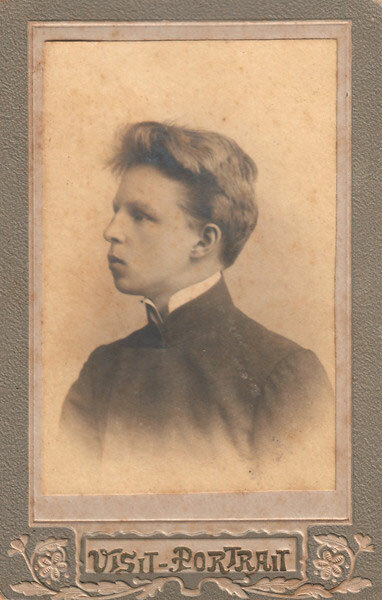 Upon graduation of the Yelabuga non-classical secondary school (realnoe uchilishche in Russian) Eugene entered the Institute of Transportation Engineers in St. Petersburg but because of the war and two revolutions could get his graduation certificate only in September 1918. At the outbreak of the First World War Eugene was sent to the front. There are some grounds to believe that he served in the Russian expeditionary corps in Persia under the command of Gen. Nikolai Baratov but no documentary evidence has been found to corroborate this theory. Institute of Transportration Engineers in St. Petersburg. Photo of the early 20th century. During his studies in St. Petersburg Eugene met the Breshko-Breshkovsky family that lived in Lesnoy, a cottage village at the outskirts of the city. The Breshko-Breshkovsky sisters – Nina (1897 – 1974) and Raissa (1899 – 1983), were descended from an impoverished noble family of the Kiev gubernia. The girls’ father, captain of the 2nd Finland rifle regiment Vasily Breshko-Breshkovsky, was remotely related to the husband of the famous revolutionary Ekaterina Breshko-Breshkovskaya. Their mother, Maria Grebneva, was descended from a merchant family. A few years after the girls’ birth, Vasily got mentally sick and the family remained without the breadwinner, living only on the allowance paid out to his wife by the War Ministry. 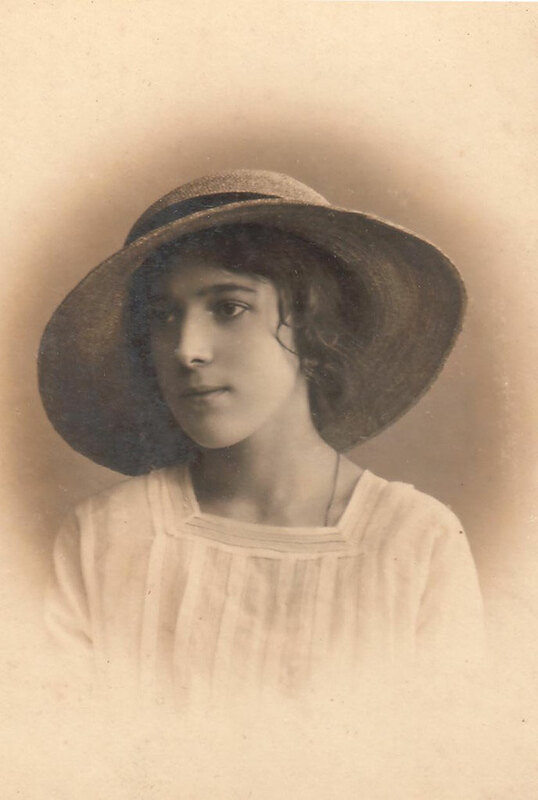 By February 1917, Nina was a graduate of the Smolny Institute while Raissa was finishing a secondary school. Eugene and Raissa Kogevin got married in Petrograd on September 29, 1918. 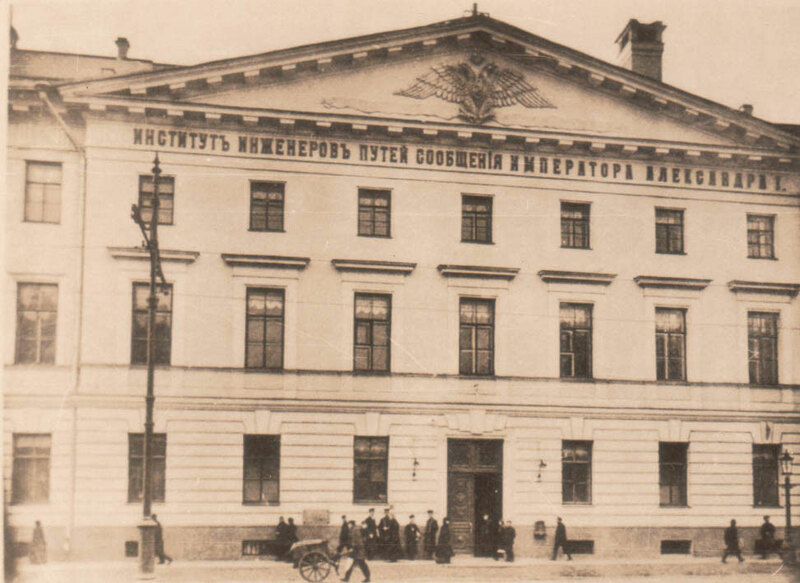 Starvation and precarious life in Petrograd forced the Kogevins and Breshko-Breshkovkies to escape for Kiev where they had relatives. It apparently became possible after the end of the Russian Civil war. In 1923, the couple gave birth to son Vladimir whom they tenderly nicknamed Mirik. During the early 1920s Eugene, as a transportation engineer, was sent on mission to Afghanistan. 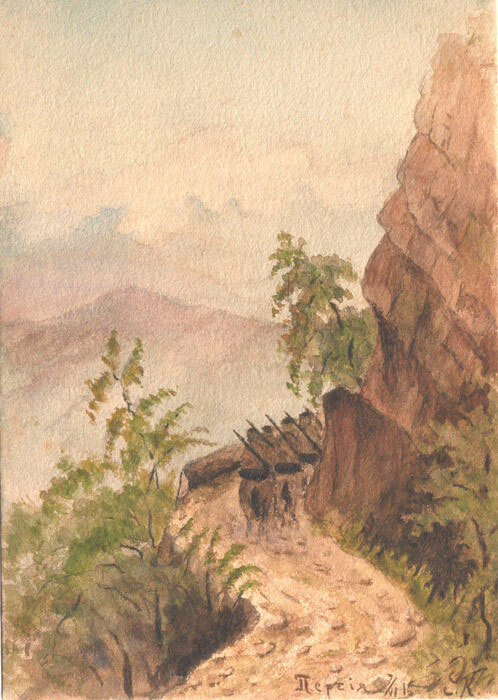 On return to the Soviet Union, Kogevin was stripped naked by Soviet customs officers who confiscated almost everything he had purchased during his stay in Afghanistan. Eugene Kogevin joined those who bitterly hated communism but feared to openly criticize the Soviet lifestyle as it was already dangerous to do so. So he found a solution which is called in Russia kukish v karmane (giving the finger behind one’s back): at the communist rallies in support of the Soviet leaders, ignorance of which was regarded as a state crime, he used to wear dirty and shabby clothes as an insult to them and the Party. 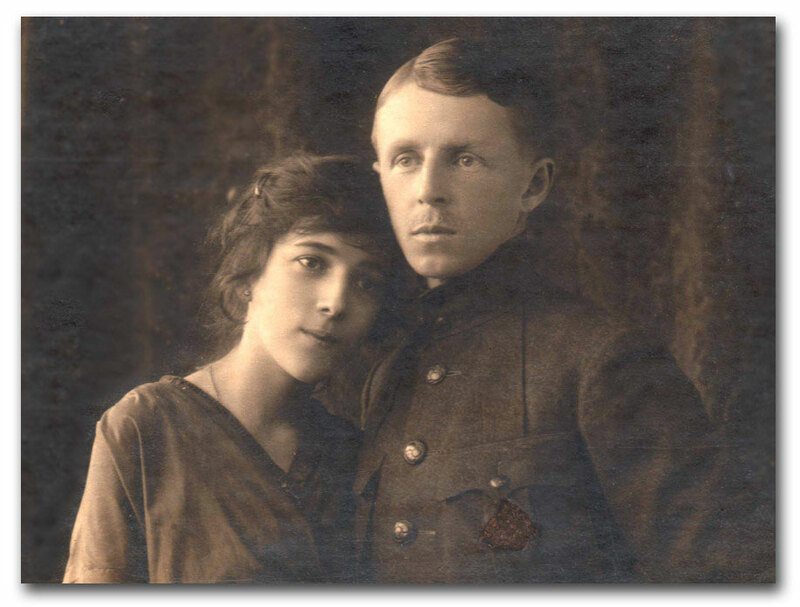 At the outbreak of the Soviet-German war Mirik was drafted to the army, while his parents and aunt remained in Kiev until the German occupation of the city. It’s hard to say now why they didn’t evacuate: it could be the lack of time or unwillingness to leave Kiev as a certain part of Ukrainian citizens hated communists and looked forward to meeting the Wehrmacht as liberators. In 1943, the Kogevins were deported to the Third Reich, where they lived through the end of the war and the capitulation of Germany and in 1949 emigrated to the United States (read more about it on DP Camp in Kufstein, Austria). Mirik was twice wounded on the front but stayed alive. When he returned to Kiev, his aunt Nina told him that his parents had gone missing during the war. For the rest of his life he had to conceal the truth about his parents who had escaped from the Soviet Union. 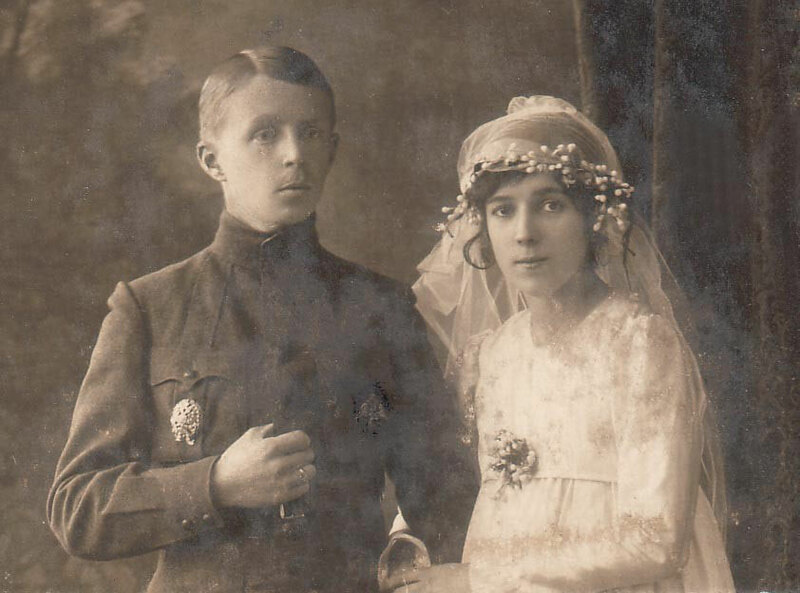 In Florida, Eugene and Raissa Kogevin were integrated into the Russian émigré community whose members represented the two waves of the Russian emigration (see my interview with Matushka Sophia). They became pious members of the St. Prince Vladimir church congregation. In order to somehow mitigate the feeling of separation with their son, Eugene and Raissa in 1953-54 stood godparents to Tanya Lindeman, the daughter of Russian-Croatian parents - among their papers I found a dozen of the girl's photos taken at different years. After her husband’s death, Raissa Kogevin began to consider returning to her native Kiev, but her spiritual father protopresbyter Adrian Rymarenko advised her against going back to the Soviet Union. Raissa stayed in touch with Mirik until his death in 1973. The parents never saw their son again because of the “Iron Curtain” between the USSR and the West. Eugene Kogevin died on October 30, 1965. Raissa died on June 8, 1983, outliving her husband by 13 years. Her house was sold after her death and now belongs to other people. Eugene and Raissa Kogevin were buried at Flagler Memorial Park in Miami.